Reaching unprecedented success since its genesis in 2013, twoloud have scorched the big room scene with over 60 singles and remixes. Comprising of ██████ ██████ and ██████ ████████, the duo are destroying dancefloors around the world, working with established DJs as well as unleashing breakthrough artists via their own label, Playbox Music. The duo’s influence in the scene is thanks to their unwavering philosophy: #MusicMatters. Mix this principle with their pioneering talent, and the result? 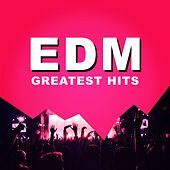 A phenomenal 60 million total plays on Spotify, 23 tracks in Beatport’s Top 10 Electro House and Big Room chart, hit productions for pop and dance acts including ████, ███████ ███████, ██████ ███████, ██████████, ██████, as well as collaborations and remixes for the likes of Hardwell, Tiësto, Calvin Harris, Afrojack and Steve Aoki. 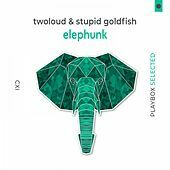 It’s the kind of heady heights of success that most producers dream about, but twoloud’s story of becoming one of the most forceful acts in dance music is anything but whimsical. Truth is, years of fierce dedication to the art of music production is at the heart of it all. The pair first met as ███████████ in ████, ███████ where they discovered a shared passion for electronic music. They honed their craft as masters of musical mayhem under the guise ███████ █ ████, when they toured 150 shows every year at some of the most prestigious venues and festivals. ███████ █ ████ soon became an internet sensation, racking up millions of views online for their track with █████ ███, ‘██████ ██’ and remix of ‘████ █ ██████ ███’ by ███████ feat. ██████ █████. 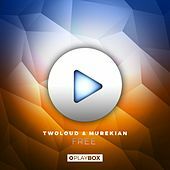 Now as twoloud, ██████ ███ ██████ are smashing the scene all over again with builds that swell on the club dancefloor, and drops that ruin festival fields. 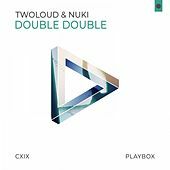 Their tipping point track ‘Perfection’ was released in 2015, when the pair also claimed the 101 spot on DJ Mag’s revered Top 100 DJs list. 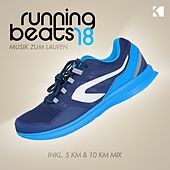 Other riotous releases include ‘Fcukin Beats’, ‘Big Bang’ and the gloriously melodic ‘Fix Me’. Big tunes deserve support from the big names, and twoloud have had all the key influencers spin their tracks, including including Avicii, Martin Garrix, Oliver Heldens, David Guetta and Hardwell. 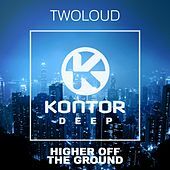 The legendary godfather of house music, ██████, is a huge fan of twoloud, and collaborated with the duo under his distinguished and rarely-used moniker, ███. 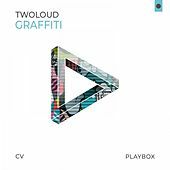 Along with releasing music on leading labels including Musical Freedom, Spinnin’ Records and Armada Music, twoloud have cultivated their formidable fanbase with their live spectacle, playing at Parookaville, Nature One, Mayday and ██████ ███ festivals. Off stage, ██████ and ██████ are ██████ ████ living in ████ and ██████, ████ █████ █████ and ████████. 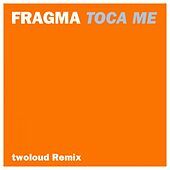 Today from their studio in ████, ██████ and ██████ are working on new releases for twoloud, ████████ ██████ and █████████ ████████ for acts spanning all genres, as well as nurturing tomorrow’s talent and developing up-and-coming acts via their own label, Playbox Music. 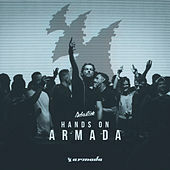 The label’s output is unrelenting: 170 singles, remixes and edits since its launch in 2015, earning the number 5 spot as Breakthrough Label in its first year. 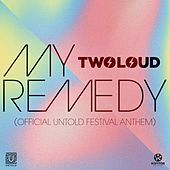 Make no mistake: twoloud are truly owning their status as groundbreaking producers, creating iconic music of our time.